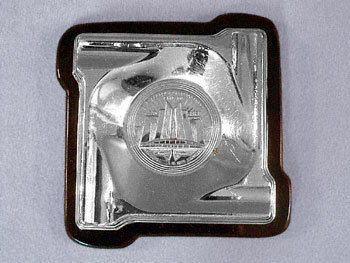 This 1933 World's Fair ashtray, is a souvenir from the Chrysler Pavilion. It is chrome plated, sets on a dark brown Bakelite base, and weighs almost 9 oz... over a half pound! The Chrysler Pavilion is embossed in the center, with "Plymouth Dodge DeSoto Chrysler" below it. It has what appears to be the original green felt bottom cover. 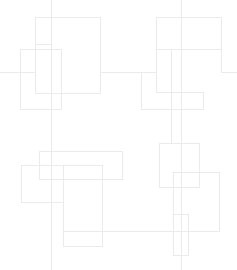 There is a very small rough area at 4 o'clock on the center circle, and a bit of brassing at the lower center of the building. Both of these areas can be seen in the photo. The brown bakelite is in perfect shape, and overall, this piece is in excellent condition with only minor surface scuffing. Unlike the more common lightweight copper version of this ashtray, this style is much harder to find.